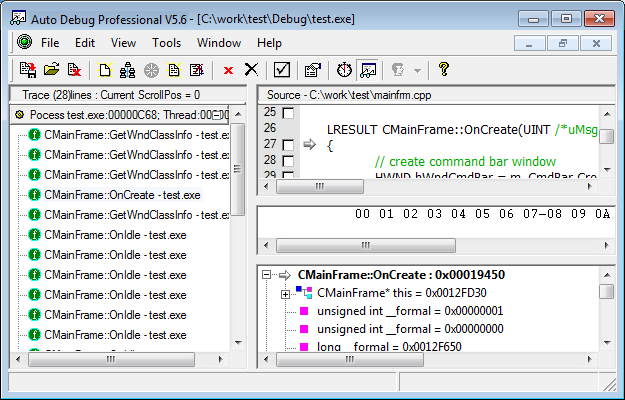 Auto Debug can use the debug symbols compiled into a program, be it a Windows executable or a dynamically linked library (DLL). When the debug information is available, all functions defined in the module can be traced (not only those it exports). Debug symbols are present in the special debug versions of all programs compiled with Visual C++ 6.0 (although we have not tested other compiler versions with Auto Debug, their symbols should all adhere to the same standard). To add symbols to a Visual Basic program, select Project -> Properties -> Compile -> Create Symbolic Debug Info. 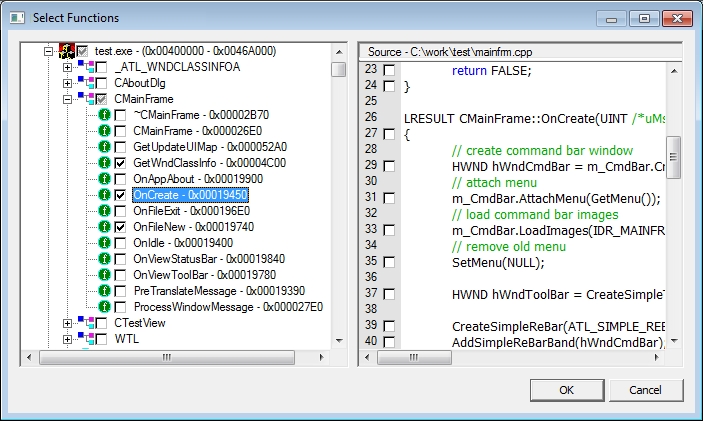 Programs compiled with this setting (both EXE and DLLs) will expose all their functions to Auto Debug.